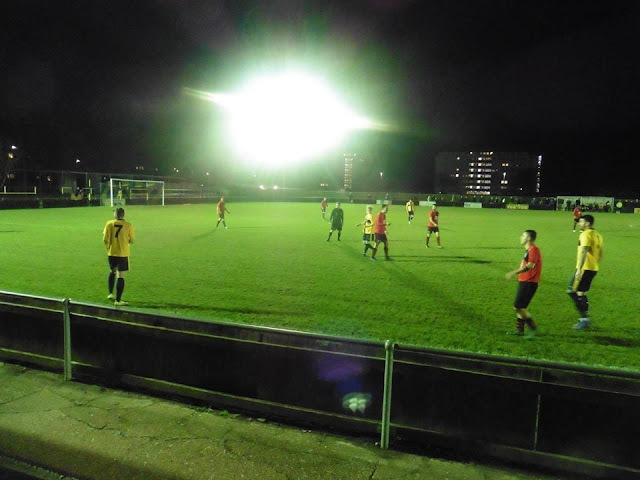 Eastbourne Town Football Club were formed in 1881, but then known as Devonshire Park FC. They were founded by Reverend Willis, they were then as a amateur gentleman's club, named after the original ground they played at now occupied by the Devonshire Park Lawn Tennis Club which is also the venue for the Eastbourne International Tennis tournament. The first recorded game against New College on 12 November 1881. A game in which Devonshire Park lost 5-0. Their first recorded win was on 26 November 1881 with an away game at Ardingly College, although the game was played in a 'downpour of rain' and the pitch being in a bad state. 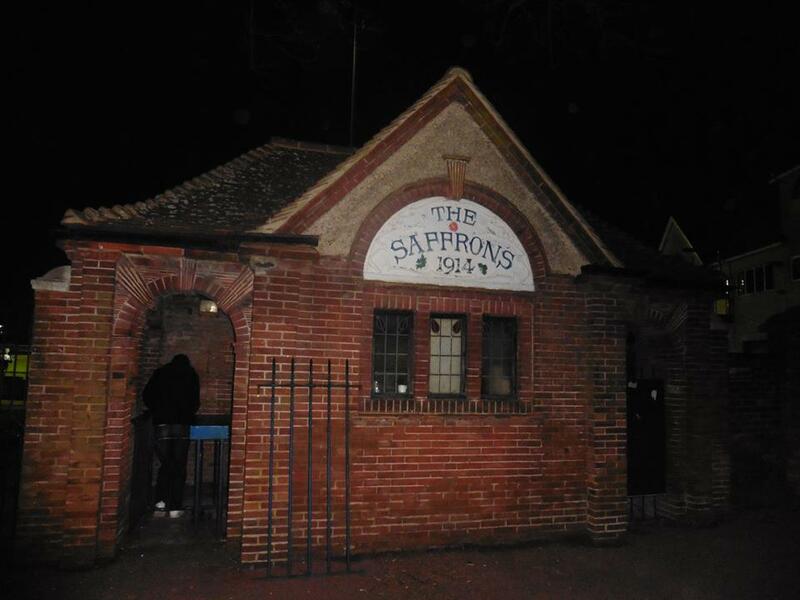 Playing at Devonshire Park for 5 years, with the Tennis club and a Cricket club, they moved to the then newly opened Saffrons Field in 1886 when the tennis became a predominant sport there and the success of the South of England Championships. 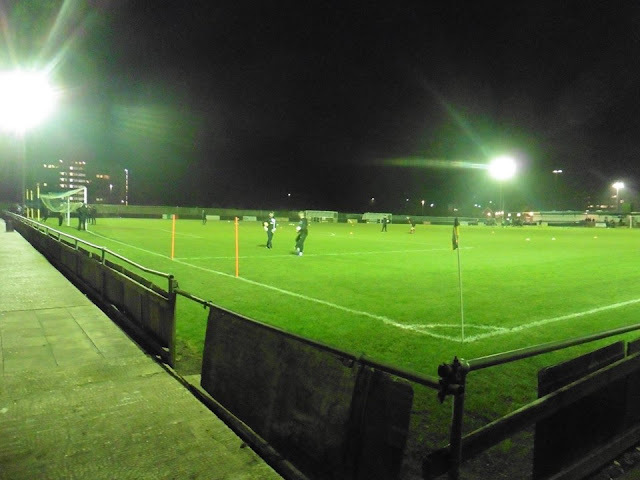 It has been their home since along with Eastbourne Cricket Club and Eastbourne Hockey Club. In 1889 the club changed its name to Eastbourne FC to reflect the expansion of the town after the railway brought in tourism. 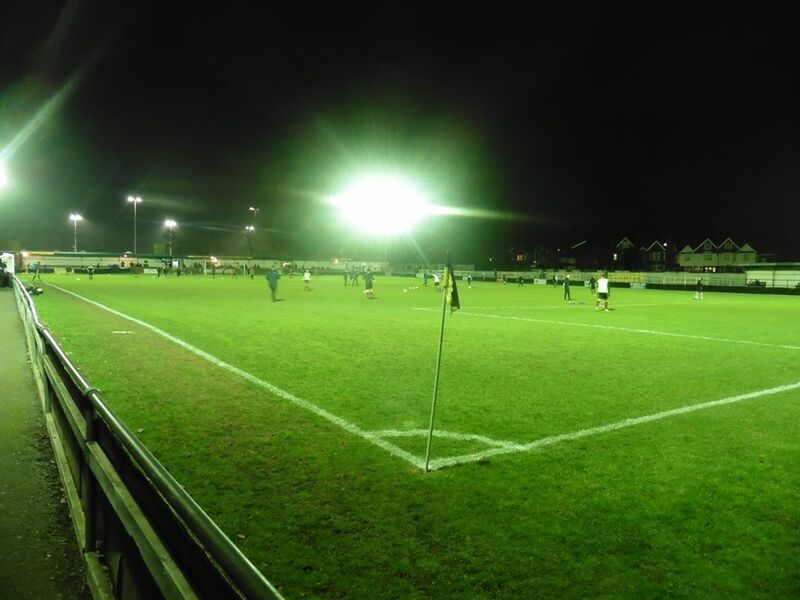 Around the turn of the century, Eastbourne played professional teams such as Woolwich Arsenal (Arsenal FC), Derby County and West Ham United. It has been recorded that Eastbourne played and won in two international tournaments, In 1904 the ‘Meeting du Nouvel’ and in 1909 the Challenge International du Nord, both cups were invitations for amateur clubs to compete in. In 1907 the club split from the Football Association, as they didn't recognise amateur clubs, at a meeting on 25 July 1907, the club committee decided to join the Amateur Football Association and became founding members of the Southern Amateur Football League, along with Ipswich Town. Led by manager David Noakes, they remained in the league until 1946, winning the Sussex Senior Cup a further three times in that period. 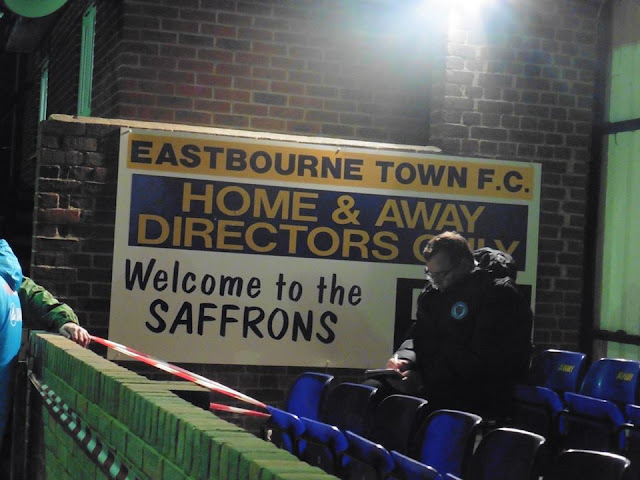 In 1946 Eastbourne left the Southern Amateur League and joined the Corinthian League, another amateur football league for teams based in the south of England. 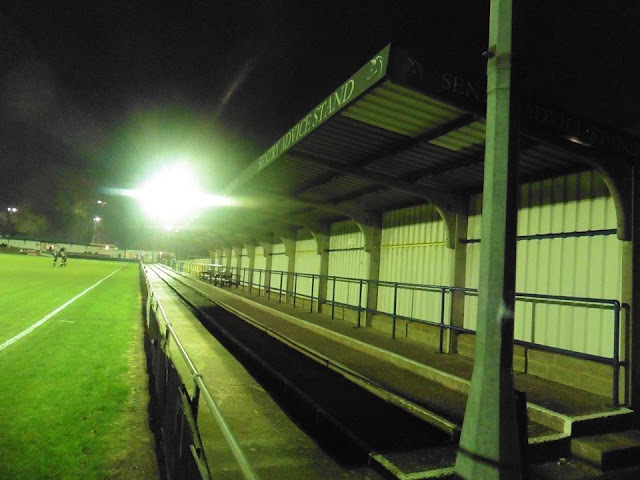 Attendances averaged around 3000 and the ground was improved, the pitch moved closer to the cricket ground to allow the Town Hall side to be terraced. 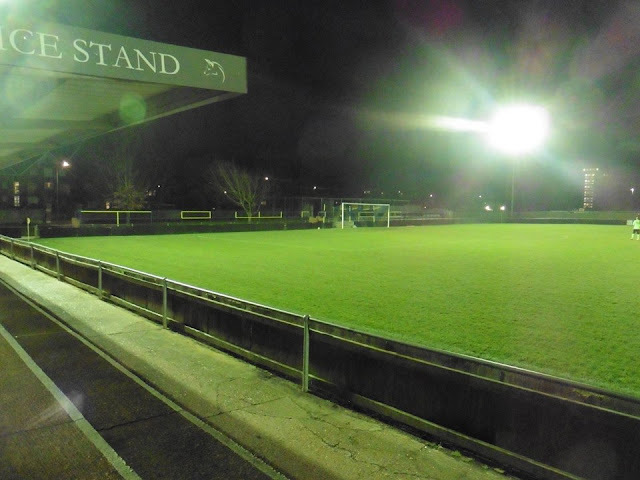 The club recorded their highest attendance on 10 October 1953, when 7,378 spectators watched local rivals Hastings United play in the FA Cup 2nd Qualifying round. Eastbourne lost the game 7-2. 1961 saw another milestone in the club's history. A game versus Moulsecoomb Rovers in the FA Amateur Cup saw the Town win 13–1, a feat that has yet to be beaten. 1970 saw success in the A.F.A. Invitation Cup and in 1971 the club being known as the “town club” for over 80 years, became Eastbourne Town FC their present name today. Joining the Sussex County Football League for the second time in the 1976-77 season, the team was placed in Division 1 and won the title, a year later they reached the Sussex Senior Cup final losing 4-0 to Worthing at the Goldstone Ground, a regular fixture for the cup between 1952 and 1995. 2005 saw Adrian Colwell take over as manager and the 2006-07 season saw them champions for the second time, 30 years after the previous time, securing the title by defeating Oakwood F.C. 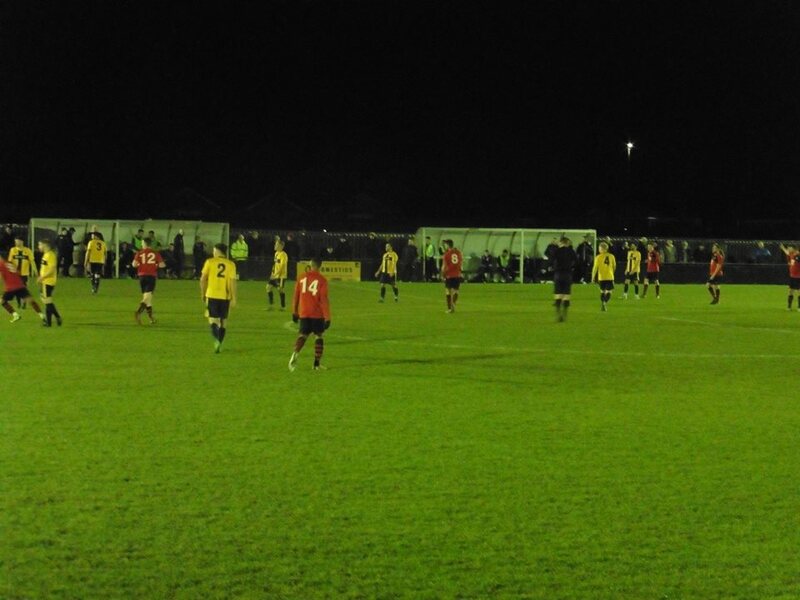 6 – 1 away and earning promotion to the Isthmian League Division 1 South. 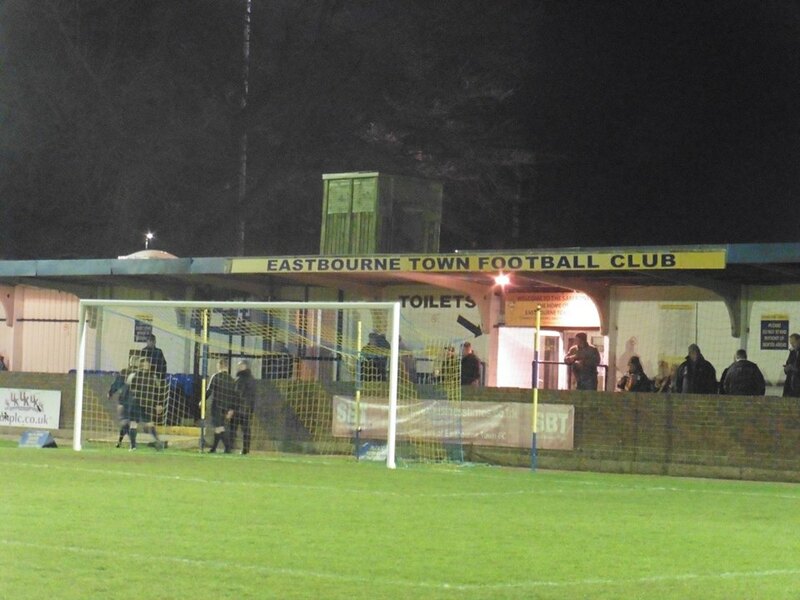 Eastbourne Town lasted seven seasons in the Isthmian League, finish near the bottom of the table. Danny Bloor replaced Colwell as manager in 2009 and finished the 2008–09 season 13th in the table. 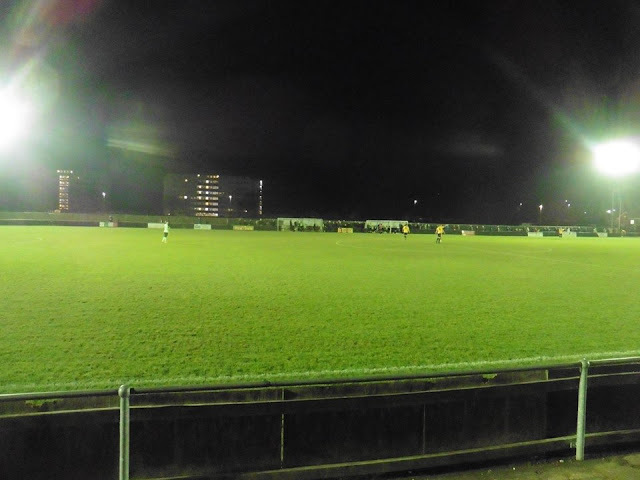 The 2009-10 was a poor season for the Town and finished bottom of the table with just 6 wins, however they were reprieved from relegation as Ashford Town went into administration. Bloor left the club in the summer of 2013 and the club saw three different manager over the months. 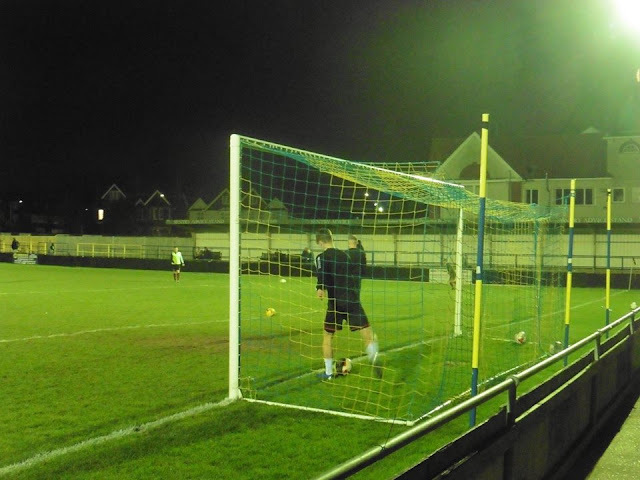 John Lambert took over in January 2014 but after seven seasons, Eastbourne Town were relegated back into the Sussex County League at the end the 2013-14 season. Coming 4th in the 2014-15 season, Town also reached the 3rd qualifying round of the FA Cup for the first time in 47 years. 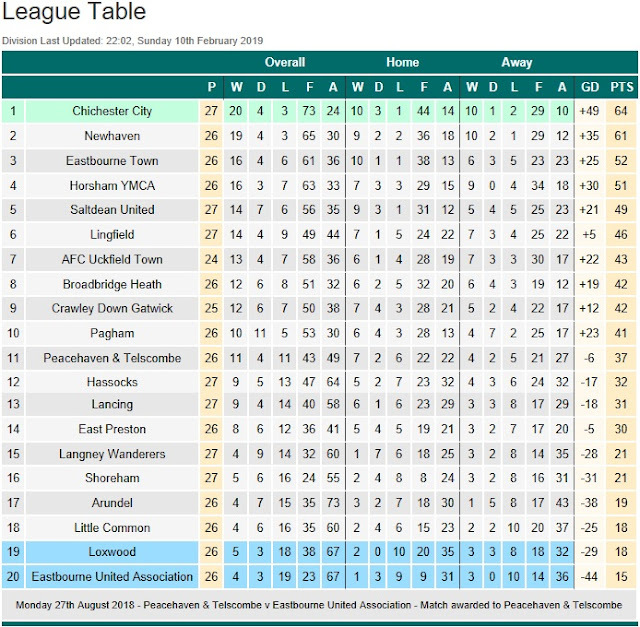 The Sussex County Football league was renamed and became the Southern Combination League (SCFL) and what was Division 1 became the Premier division. 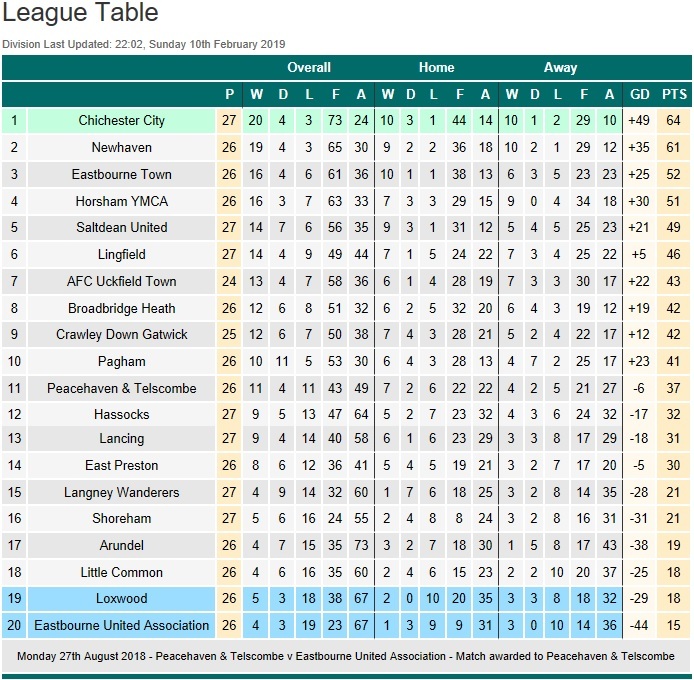 2015-16 season saw Eastbourne reaching 2nd place. At this point attendances started to rise as a new fanbase started. The 2016-17 and 2017-18 seasons not only saw Eastbourne Town finish 5th in the table but a successful run in the FA Vase by reaching the 4th round on both occasions. And the 3rd round in the 2018-19 season after being knocked out by Abbey Rangers FC. I wasn't spoiled with many choices for this evening's game. 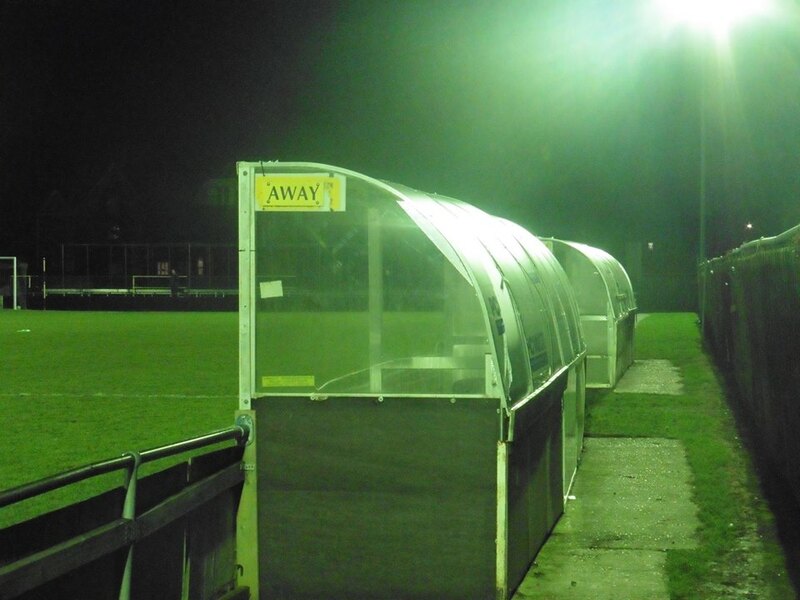 I originally put a poll up on Twitter to decide which game to go to, my 3 choices were Chertsey Town v (annoyingly I can't remember who it was against now haha at the time of typing), Lordswood v Hollands & Blair and CB Hounslow United v Camberley Town. 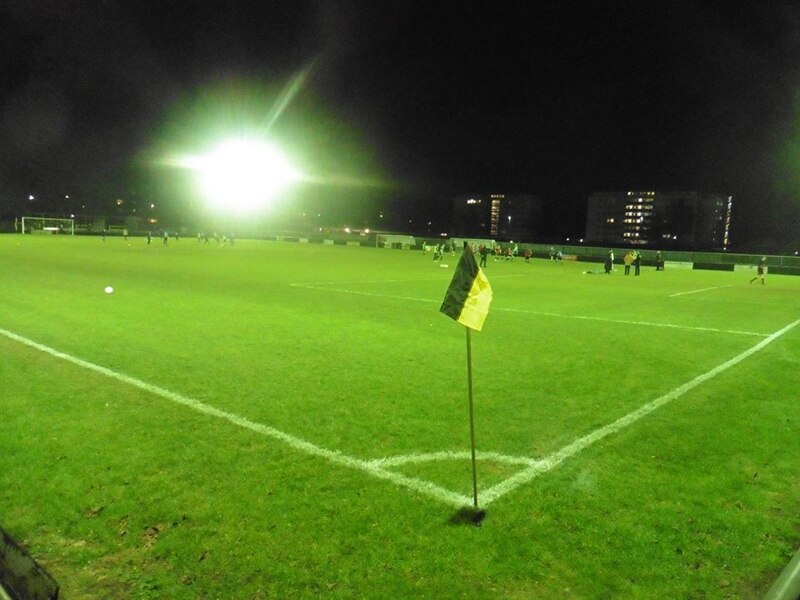 Chertsey won the poll by a fair margin, but as Chertsey's game was called off due to their involvement with the Surrey Senior Cup. I decided to have a look on what else was on the night before, browsing through all the Non League fixtures on Non League Matters, I came across Eastbourne v AFC Uckfield, and me thinking it was nowhere near a train station, it so happened to be about a 10 minute walk from the station and right near in the town centre. 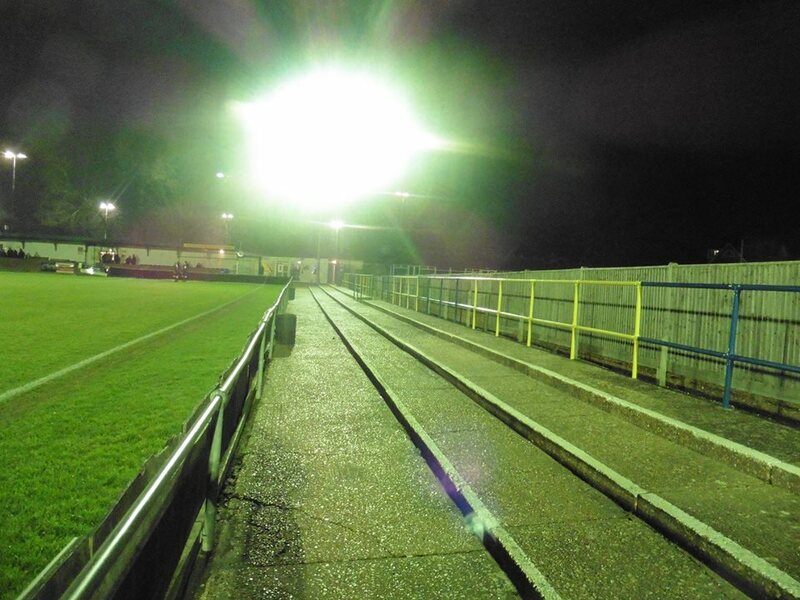 It all boiled down to 2 choices with CB Hounslow v Camberley the other fixture. 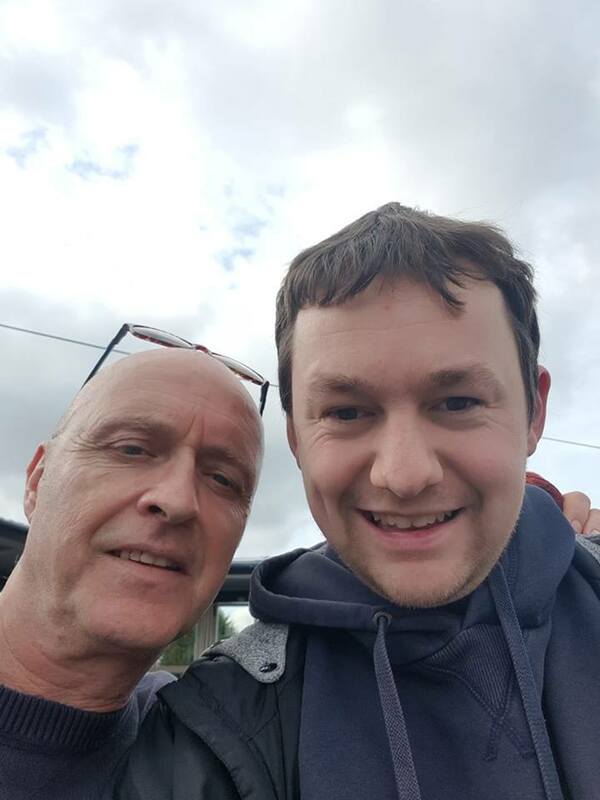 Originally my good mate and Dartford supporting friend Phil was going to tag along for company but sadly couldn't make it after receiving a message on Tuesday morning due to not feeling 100% which was disappointing but couldn't be helped. On the day it turned out to be a really good day before heading to Eastbourne. As heading to see the missus, I bumped into someone I've known for a while now whilst serving him at work in the picture above and had a really good chat with him. Actor Paul Usher, known for playing PC Des Tavinor in ITV's The Bill and former TV Soap on Channel 4 Brookside, I've been meaning to get a selfie with him for so long as seeing him many times whilst I've been at work, but not able to get a photo. Finally I was pleased to get a photo with him and talk various things, including an acting job he has got coming up lined up and was showing me which was very interesting! But yes, it is in a very big show and that is all I will reveal haha! 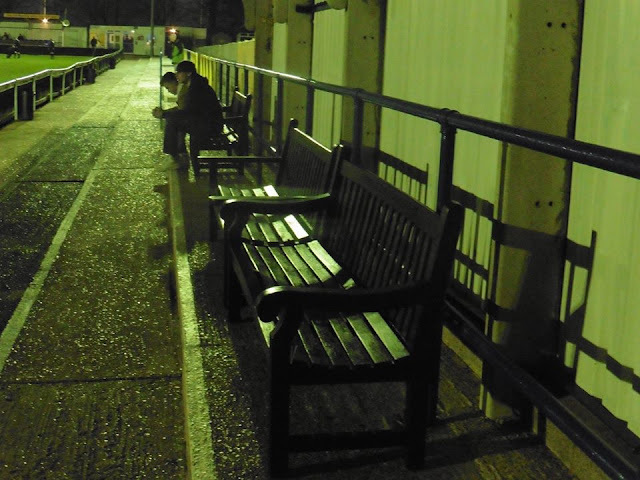 So as the day went on, I left later on after 5pm, with a couple of changes on the trains, I arrived at the ground around 7.20pm. The game was a superb game to watch, especially the 1st half. 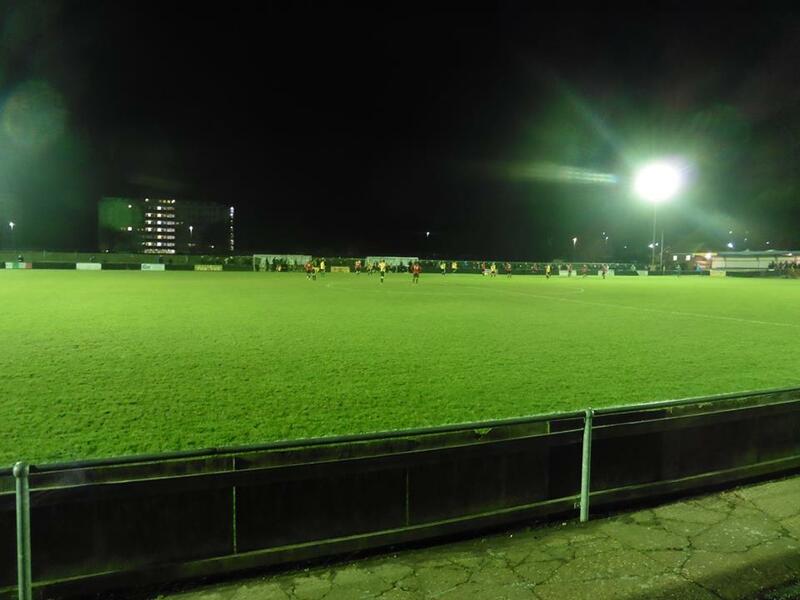 (You can see a report from Uckfield FM by clicking here) The visitors took the lead with Callum Smith with a superb header from Ba Camera's cross. 4 minutes later saw Eastbourne equalise with a cross and a low header saw Dan Perry head in to make it 1-1. The visitors re-took the lead once again 5 minutes later with probably the best goal of the game, a superb shot into the corner from Gianfranco Mici. Once again 4 minutes later this time, the 2nd equaliser came from the hosts which saw Zac Attwood finishing nicely after getting put through to beat visiting keeper Louis Rogers. Eastbourne then took the lead just before half time which saw a scrappy finish but headed in by Sam Cole. 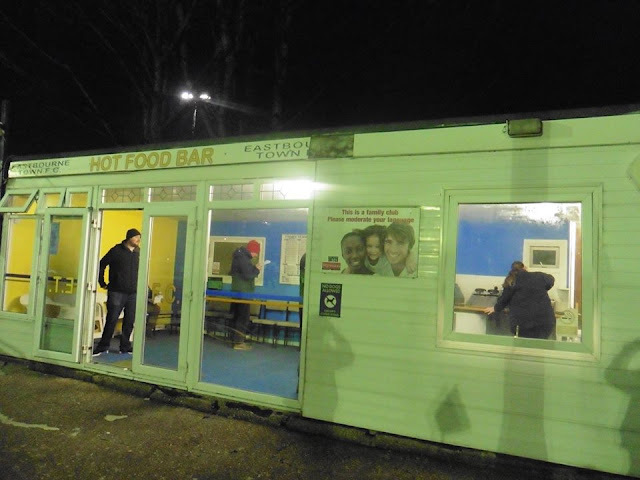 The 2nd half was mainly flat but the hosts killed the game off on 52 minutes as another headed goal this time from Aaron Capon from a good cross sealed the game and extend their unbeaten run in all competitions since their 1-0 defeat at home against Abbey Rangers in the FA Vase in December. 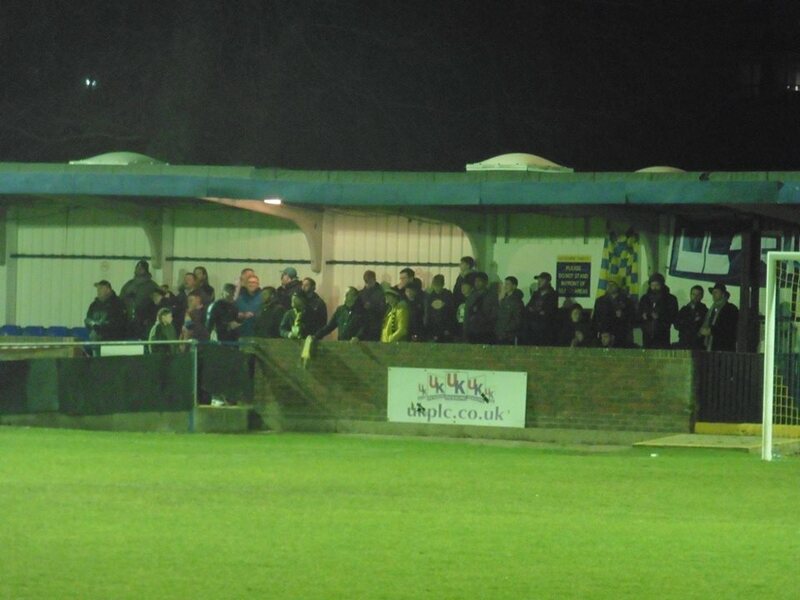 A thoroughly enjoyable night and a good atmosphere from the Eastbourne fans behind the goal. Afterwards I arrived home shortly after midnight. Tonight's game was Ground 151. 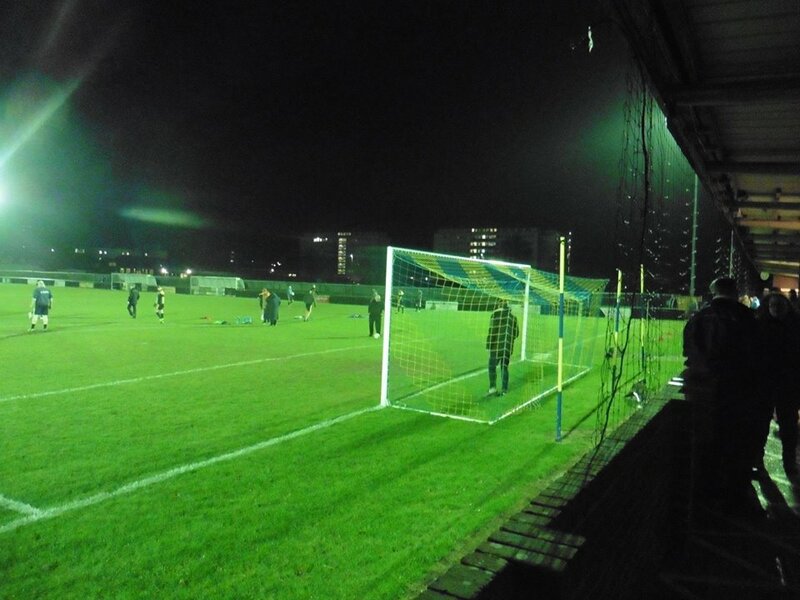 Eastbourne Town have been playing at The Saffrons since 1886, after previously playing at Devonshire Park from 1881 to 1886. Devonshire Park to this very day is still open and is the current venue for the annual Eastbourne International tennis tournament. 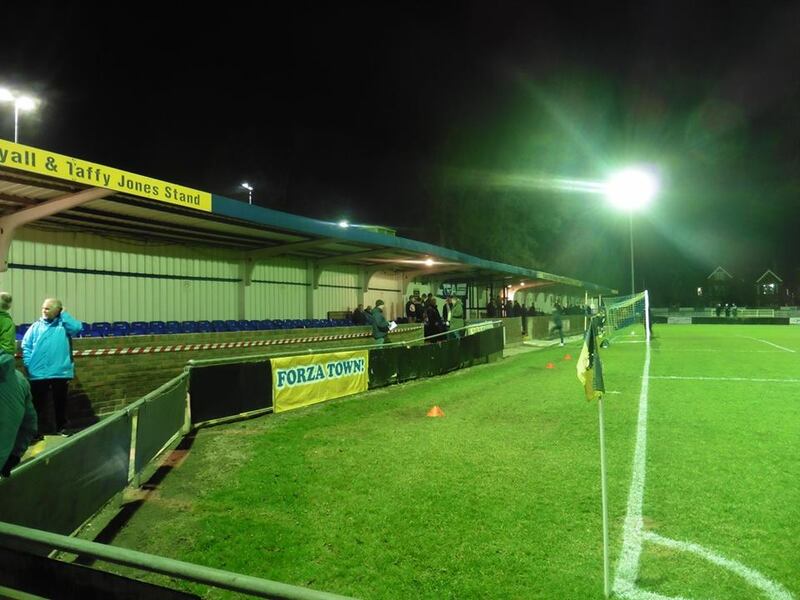 The Saffrons is a superb ground to visit and can get a good view of the game anyway around the ground. 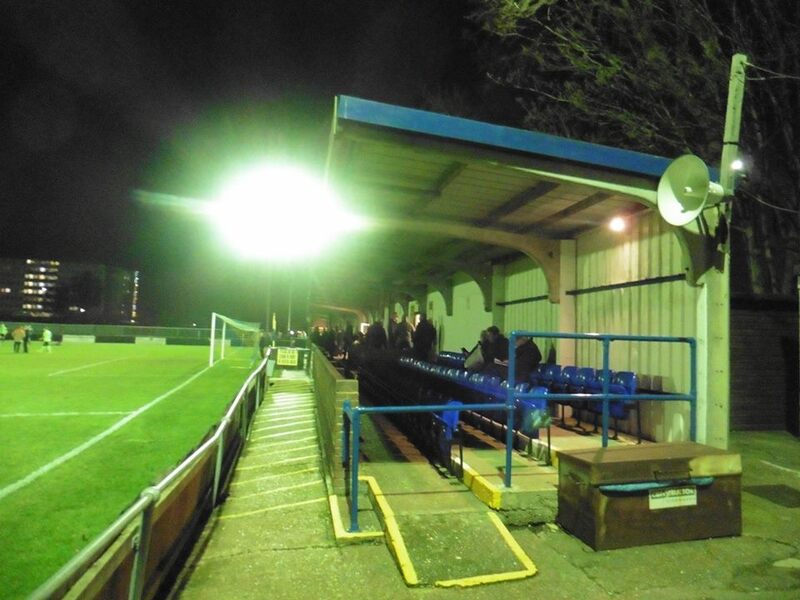 On one side of the pitch is a small covered stand and behind the goal is all covered with seats. Interestingly there are a couple of benches to sit on if you choose to do so. The capacity at The Saffrons holds 3,000 with around 200 seats. 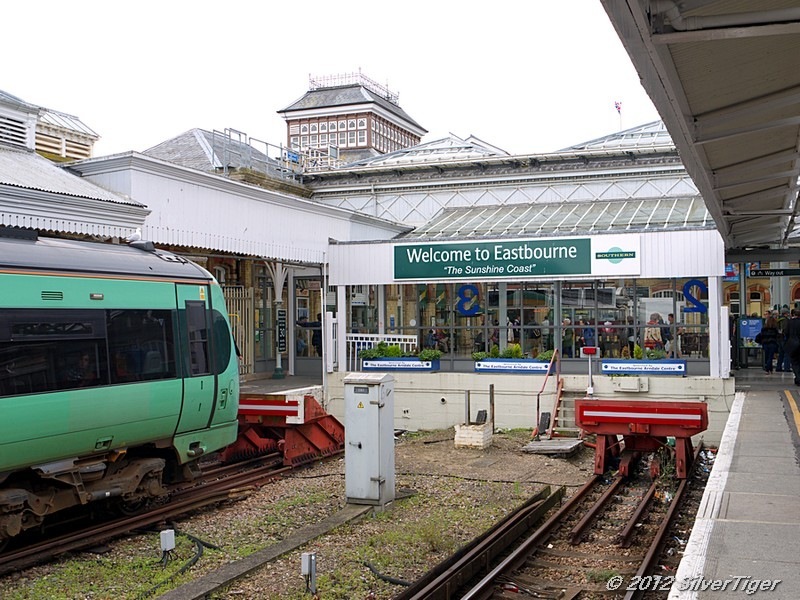 Eastbourne railway station is very close to the ground and also close to the town centre of Eastbourne, no more than a 10 minute walk from the station. The beachy head ultras and pier pressure supporters groups are UK renowned for their noise and passioned support!